Étel gave its name to a ria, the Étel river, whose mouth is a perilous passage for boats. 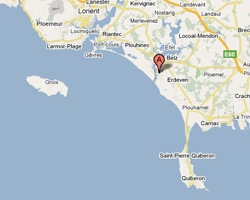 The famous "Barre d'Étel " is a underwater sandbank formed by currents that cross at the entrance of the Ria. At the seaside you can find beautiful sandy beaches, a fishing port and a small marina in a preserved environment. 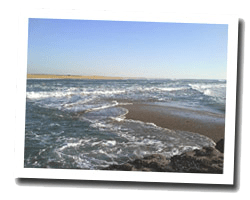 In Étel enjoy a seaview holiday rental. Studio cabin 2-4 people, small private residence, port, swimmimg pool. 0 Bedroom(s), 1 double bed(s). short stays possibility. Final cleaning : 30 €. 3 rooms apartment 51m2 in a non noisy two-storey building with 7 apartments. Is located on the main street, close to shops, in the town center. You can go to the beach on foot. comfortable and quiet T2 apartment in a beachfront residence for 2 or 4 people.